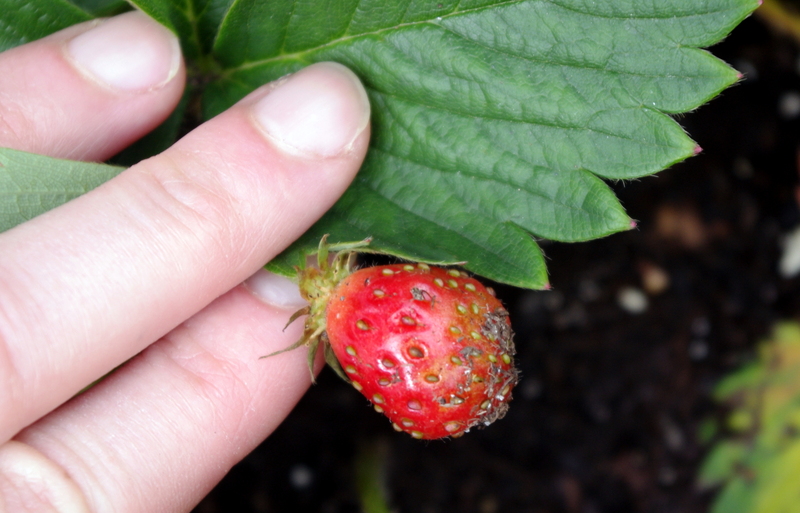 The plural is misleading…but here’s the first of the strawberries. 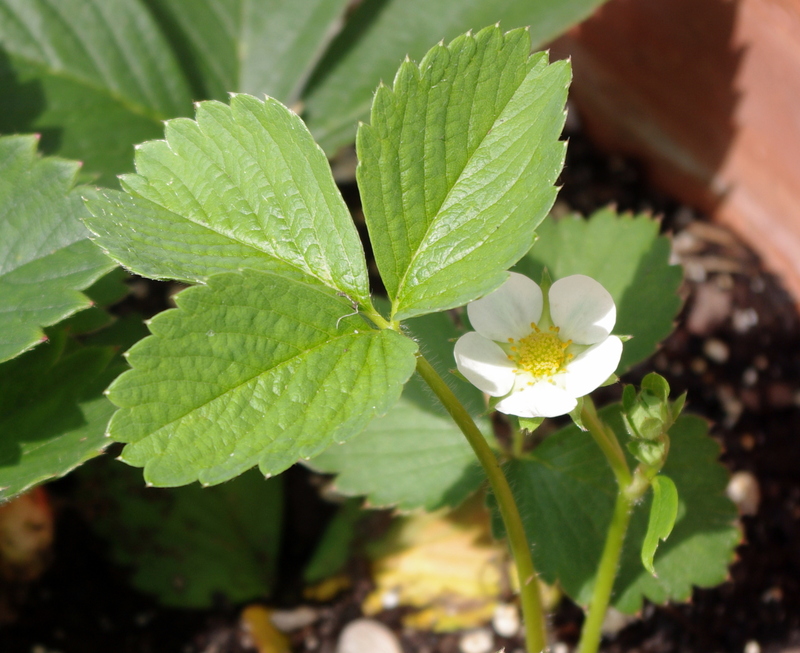 Shared with the hurricane, it offered little more than the essence of strawberry, but after months of California and then another month of the only slightly better Florida berries, both the girl and the gardener were quite favorably impressed. Happily, there’s more to come.